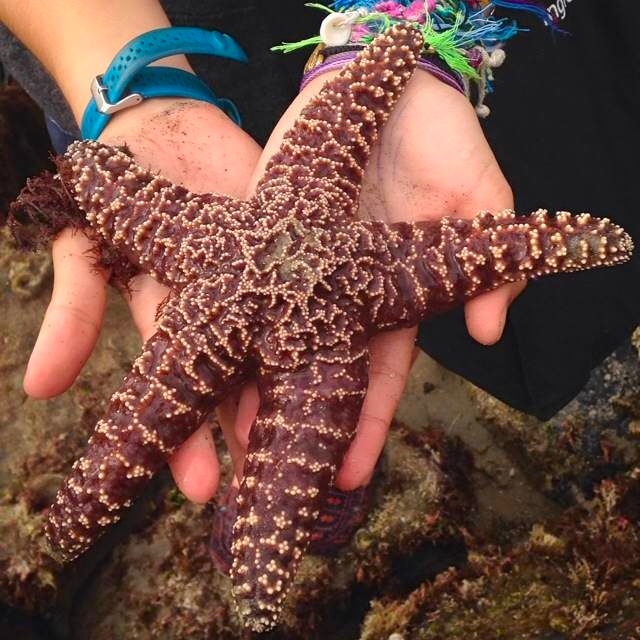 This post was written by Natalia Romero, a student from High Tech High School, who interned with Birch Aquarium’s Education Department for three weeks. 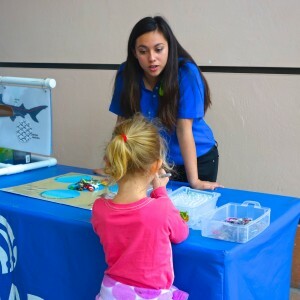 High Tech High School Intern, Natalia Romero, had the opportunity to teach visitors about marine science at weekly Explore-It activities. Being an intern at Birch Aquarium was an experience like no other. I had amazing opportunities offered to me here. 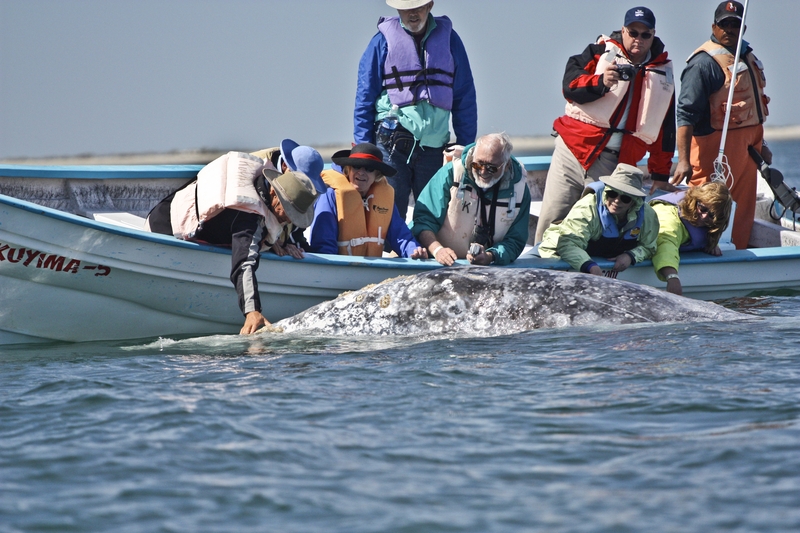 For example, I got the opportunity to go whale watching for the first time. I was extremely fortunate to see a megapod of common dolphins. These animals were friendly and energetic. It was a sight to see the dolphins swim along the side of the bow of the boat. I also saw two humpbacks and a couple of grey whales breach. I was also able to go tidepooling at Dike Rock. This was a first-time experience for me. 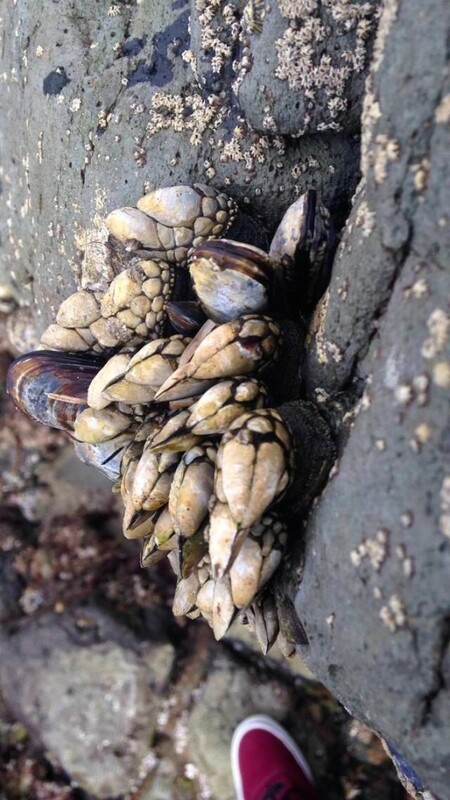 A lot of the marine life that instructors and fellow volunteers would talk about at the aquarium were very evident at the tide pools. But I wasn’t doing these kinds of experiences every day. At my school, having an internship is a graduation requirement. For my internship I was required to have a main project. I revised the craft curriculum for two weeks worth of Pre-K to K camps. Along with this, I also had an ongoing project with my mentor in which I evaluated “floor programs” that are held every week in the aquarium’s galleria. Sometimes, I would help out with school programs that are held onsite. This included teaching kids how to interact with animals in an appropriate manner and handling animals to show them to students. This is something that I looked forward to because I have been passionate about animals ever since I could remember. Getting the opportunity to be able to interact with animals and educate others about them has made me appreciate marine life so much more than I did before my internship. This experience has shaped my outlook on the career path I wish to pursue.